Jesse focuses his practice on complex bankruptcy cases, financial restructuring, and all aspects of the medical and recreational cannabis space. Jesse represents secured and unsecured creditors, trustees, debtors, and creditors’ committees. He also advises companies in need of financial restructuring outside of bankruptcy, provides guidance on lender workouts, and, when necessary, litigates unresolvable disputes. * Please be mindful that possessing, using, distributing and/or selling marijuana is a federal crime, and no legal advice given by Fox is intended to provide any guidance or assistance in violating federal law. 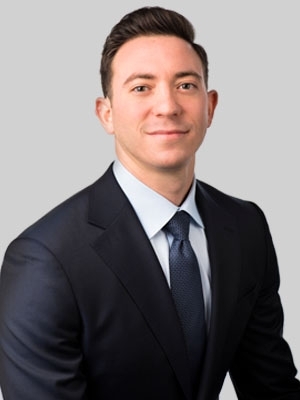 Counsel for Canadian and U.S. biopharmaceutical companies on exporting/importing hemp-derived products to the U.S.
During law school, Jesse was an executive editor of the Rutgers University Law Review and finalist in the Hunter Moot Court Competition. Jesse also worked as a judicial intern to the Honorable Theodore A. McKee of the U.S. Court of Appeals for the Third Circuit and the Honorable Magdeline D. Coleman of the U.S. Bankruptcy Court for the Eastern District of Pennsylvania. Upon graduation, Jesse received the prestigious American Bankruptcy Institute Medal of Excellence, which is awarded to the highest performing bankruptcy student in the graduating class. Recognized for his legal writing and research skills, Jesse served as a legal writing teaching assistant for first-year law students at Rutgers Law School, as well as a research assistant for the Distinguished Professor of Law, Robert F. Williams. Jesse started at Fox Rothschild as a summer associate.